Unraveling one of the biggest environmental scandals of our time, a group of citizens in West Virginia take on a powerful corporation after they discover it has knowingly been dumping a toxic chemical - now found in the blood of 99.7% of Americans - into the drinking water supply. 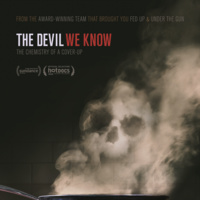 Please join us for this free screening of The Devil We Know: The Chemistry of a Cover-Up. The screening will be followed by a Q&A session with PFOS science, policy and advocacy experts Anna Reade, PhD, Natural Resources Defense Council, Tom Bruton, PhD, Green Science Policy Institute, and Elizabeth Hom, PhD, from UCSF's Program on Reproductive Health and the Environment.